Share photos that will benefit the Nuqta community in someway. Provide as much useful information as you can. Pin the photo as close as you can to the exact location. Do share photos that you’ve taken. 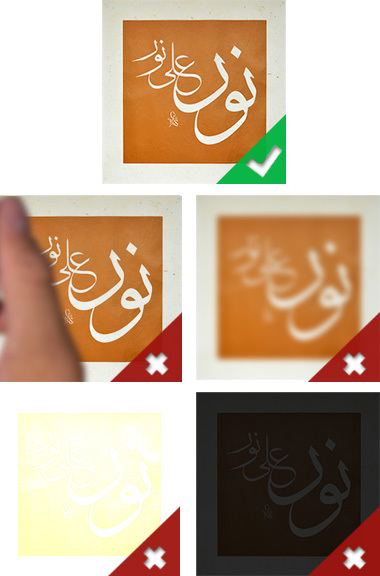 Nuqta is a great way to share your passion of calligraphy and typography through photos. However we have to ask that you share photos that are of good quality. Since users own the rights to all photos they have uploaded using our service, we ask that you respect their copyright ownership. Do share photos that are safe for people of all ages. Do treat others as you would like to be treated. People from around the world with different backgrounds come together to share images on Nuqta. We ask that all users be polite and respectful in their interactions with other members. Nuqta is the best way to quickly see and discover examples of Arabic typography and calligraphy around the world through others’ eyes. So have fun and learn something new! † Top banner image courtesy of Abir Fawaz.